Economic convergence in the euro area: Coming together or drifting apart? When the euro’s architects embarked on the project of Economic and Monetary Union, they expected that sharing a common currency would reduce differences in income levels across euro area countries. However, over the past two decades, income convergence among the founding members has not happened. And although newer members of the euro have narrowed their income gaps vis-à-vis the original twelve euro area countries, this trend, too, has stalled since the crisis. At the same time, track records on convergence as regards inflation and interest rates and economic cycles are mixed. What does this lack of convergence mean for the European project, and what can be done to re-start convergence? Jeffrey Franks is Director of the IMF Europe Office and Senior Resident Representative to the European Union, based in Brussels. 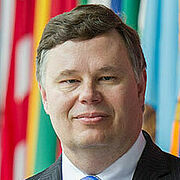 A 25-year veteran of the IMF, he has held numerous other assignments, including heading the resident offices in Ukraine and Ecuador, and leading teams on Pakistan, Romania, France, Belgium, and Paraguay. He received his Ph.D. in Political Economy and Government from Harvard, and holds Master’s degrees from Princeton and Oxford. 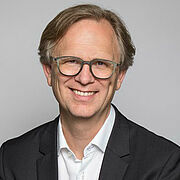 Mark Hallerberg is Dean and Professor of Public Management and Political Economy at the Hertie School of Governance. His research focuses on fiscal governance, tax competition, financial crises, and European Union politics. In partnership with the International Monetary Fund (IMF). Please note that this event is full. We are no longer accepting registrations.